New from 3Gstore, the Long Range Invisible Ethernet Bridge Kit is an easy way to wirelessly extend a network with zero advanced configuration. 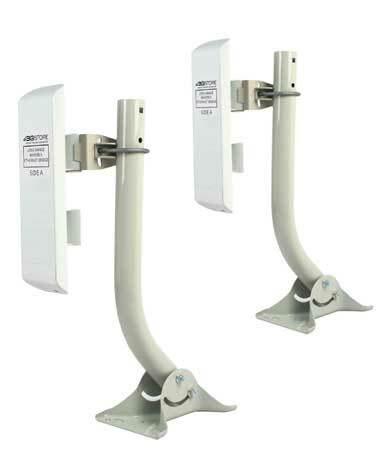 The Bridge Kit is a point-to-point WiFi antenna system designed to operate at ranges outside the reach of a traditional WiFi signal - over a mile in optimal conditions. It consists of two antennas: one installed at the primary location connected to the LAN of the existing network, and a second at the secondary location to pick up the signal and feed it into a network switch, router, computer, camera, etc (whatever you need to provide internet to!). The kit comes pre-configured, so no difficult setup or networking knowledge is required. Just mount the two antennas using the included hardware, aim them at each other. The Bridge Kit will create an “invisible” link between the two antennas and will function as if there was an ethernet cable between them.